Do you often feel stomach upset, acid reflux, or a feeling of a “knot in your stomach” from chronic stress? Receiving a massage helps increase a parasympathetic relaxation response in your nervous system, which indirectly affects your digestive system back to normal function. 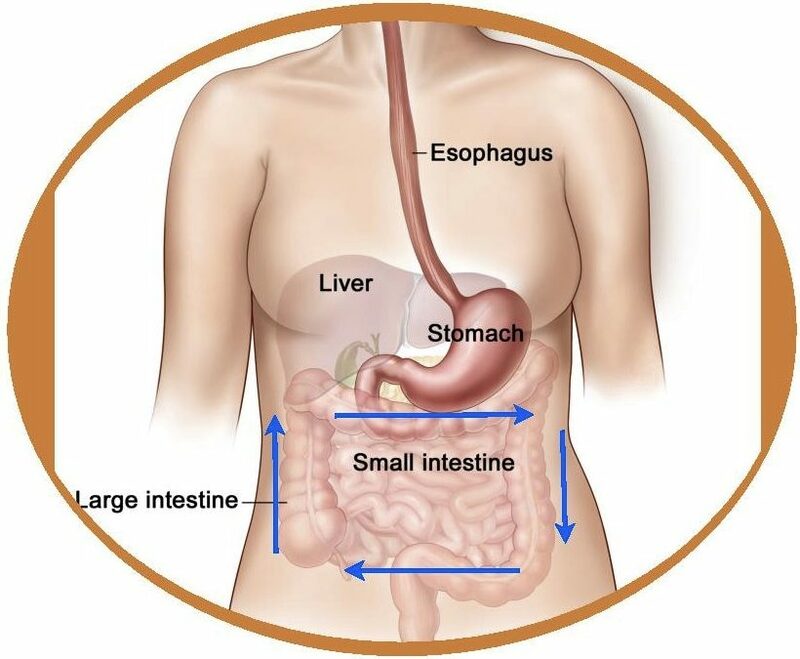 Deep relaxation combined with abdominal massage will help reduce your common digestive symptoms by increasing communication and flow to and from all the body systems. A busy life-style with no time to rest may lead to burnout and depleted vital energy. This feeling of tiredness and mental stress may activate abdominal discomfort like gas, indigestion, “knots”, and constipation, and if prolonged, these symptoms may turn into chronic digestive health issues. Taking time to rest will help repair your digestive health and organ function. Some useful daily practices likes yoga, awareness of breath, exercise and massage can support your distress issues affecting your digestive system. A gentle pressure with circular moves in the abdomen in a clockwise flow stimulates organ blood and lymph circulation. Abdominal Massage has been proven to be effective in the management of constipation. Results from studies demonstrated that it could stimulate peristalsis, decrease colonic transit time, increase the frequency of bowel movements in constipated patients, and decrease the feelings of discomfort and pain caused by it. This type of massage may also help abdominal distention, gas, and other distressful symptoms in your digestive system. Abdominal massage and relaxation seem to be effective in increasing overall gut health. Most digestive problems can be improved when mental stress is decreased and a sense of well-being is present. I may be contacted for a FREE consultation about your digestive health needs.